Amateur Radio Newsline Report Number 2135 with a release date of Friday, September 28, 2018 to follow in 5-4-3-2-1. The following is a QST. A handy-talkie helps save a stranded teen on the high seas in Indonesia. Puerto Rico strengthens its hurricane readiness – and are you ready to “fall out” with 100 Watts and a Wire? All this and more as Amateur Radio Newsline Report 2135 comes your way right now. STEPHEN/ANCHOR: Our top story this week isn’t about hams assisting after floods, earthquakes or storms. This story is about the way hams keep people OUT of danger in the first place. Andy Morrison K9AWM explains how Colorado ARES mobilized to help with an epic race in the Rocky Mountain foothills – by mountain bike. ANDY: As 100 mountain bike riders from all over the country took on the foothills of the Rocky Mountains just outside Canon City, Colorado, the cyclists couldn’t be too careful. As they commenced on the scenic Royal Gorge Bridge to race the Royal 50 on Saturday, September 22nd, they knew they had to be on their toes: With cactus in every corner, rattlesnakes, treacherous downhill areas, overall rough trails and significantly higher than normal temps…they had to be ready for anything to happen. Fortunately, they weren’t the only ones who were prepared. To ensure everyone’s safety, it took 16 members of Colorado ARES, interoperability with the ARES comm van, some operators hiking or biking in to their positions and the use of ATVs to cover the event. There were also some IP cameras on the trails live-streaming back to command over their ham radio microwave link system. Radio traffic needed to be brief and concise, and an Incident Action Plan was essential. Everyone needed to know exactly what to do if there was an emergency. Thankfully AMR was also on site to assist with the 2 medical situations they had. Yes there were injuries but they were thankfully minimal: One rider had a close encounter with a cactus bush and another crashed at the end of a downhill lane. Overall the event was a huge success and Colorado ARES is planning to support the Royal 50 again next year with even more riders participating. For Amateur Radio Newsline, I’m Andy Morrision K9AWM. STEPHEN/ANCHOR: On a personal note we’d like to add this was a job well done by the team, whose members included Amateur Radio Newsline’s own Amanda Alden K1DDN as one of the coordinators. STEPHEN/ANCHOR: Because response to catastrophe is part of the core of amateur radio, hams in Puerto Rico have been making plans to brace for storms such as last year’s Hurricane Maria. Kevin Trotman N5PRE has those details. KEVIN: The ARRL’s Puerto Rico section has been hosting meetings each month around the commonwealth, hoping to recruit volunteers for an Amateur Radio Emergency Service based there. This effort and others being undertaken on the island, are getting under way in earnest following the September 20th anniversary of Hurricane Maria which flattened much of Puerto Rico. Section Manager Oscar Resto KP4RF and Section Emergency Coordinator Juan Sepulveda KP3CR are overseeing amateurs’ emergency preparedness. 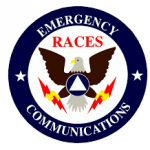 There are also new Emergency Management Bureau zone divisions in Puerto Rico along with development of a 2-meter simplex band plan – a resource considered necessary if repeaters become disabled. Toward that end, hams have been conducting drills and nets weekly on simplex. Hams are also creating a formal net for handling traffic on the repeater on El Yunque summit at 145.410 MHz and have invited the participation of amateurs living in the U.S. Virgin Islands. The 2-meter net was scheduled to start in late September. Meanwhile, work is under way to get an HF net up and running to send traffic to the NTS nets on the U.S. mainland. Other moves toward enhanced preparedness include the construction of NVIS antennas for local HF contacts and updating the WP4MR repeater system. The storm anniversary is far from forgotten: A special event station was on the air to mark the occasion, making use of the call sign K1M or Kilo One Maria – as the special even call is a tribute to the volunteers deployed last year to the island who operated with that call sign to help with storm recovery. For Amateur Radio Newsline, I’m Kevin Trotman N5PRE. STEPHEN/ANCHOR: It was radio to the rescue in Indonesia recently – and the happy ending came about because of one of those low-priced HTs that the FCC here in the U.S. has been looking at. Here’s Ed Durrant DD5LP. ED: While the FCC reviews ways to restrict frequency coverage of Chinese HTs coming into the U.S., there are other parts of the world where these cheap units’ wide band capabilities are saving lives. One global news item in the last few days is the rescue of Indonesian Aldi Novel Adilang who told reporters that his hand-held transceiver was key to his rescue on the high seas. Adilang was adrift for 49 days in the Pacific after the unpowered rompong fishing platform he was working on lost its anchor line. It broke loose from 77 miles (125 km) off the Sulawesi Island coast, during high winds on the 14 of July. After a week, Adilang ran out of food, but managed to live on fish he caught and when it didn’t rain, he drank drips of sea water that he wrung from his clothing. Using his generator-driven light and a makeshift white flag, he had tried to attract the attention of many passing ships, but either they didn’t see him, or they ignored him. He drifted with the winds and current over 1200 miles (1900 km). Then, when the huge bulk carrier MV Arpeggio passed within a mile of him on August 31st he tried to attract them but the ship just kept going. It was only when he remembered the HT on his boat and tuned it to a Marine VHF Channel frequency, that a friend had told him to use if he got in trouble, that he got the ships attention by calling HELP (in English) into the HT. The ship reversed its course and rescued Adilang. The crew of the Arpeggio, who rescued Adilang floating off Guam, contacted the Indonesian consulate in Japan when they docked. He was returned to Indonesia by air on the 8th. of September. Adilang was quoted as saying he no longer wants to work on rompong platforms! For Amateur Radio Newsline this is Ed DD5LP. STEPHEN/ANCHOR: Hams in Spain recently concluded a two-day fair that is growing larger each year. Jim Meachen ZL2BHF tells us more about IberRadio. JIM: Hams in Spain recently concluded the two-day ham radio fair known as IberRadio, which took place on the 15th and 16th of September in the city of Avila. The gathering featured workshops, conferences and a preview of some cutting-edge equipment for the shack. This year’s event featured an expanded flea market and included licencing exams for Spain as well as the U.S. FCC licence. Organisers work hard each year to grow this event into southern Europe’s pre-eminent showcase for amateur radio. Organisers also operated station AO1IBR throughout the weekend so that those who could not attend might still end up being able to take something away from Iber Radio – a QSL card. STEPHEN/ANCHOR: The Irish Radio Transmitters Society has lost a valued member and leader. Jeremy Boot G4NJH tells us about this Silent Key. JEREMY: The Irish Radio Transmitters Society is mourning the death of a friend and a long time amateur. Seán Nolan EI7CD became a Silent Key on Thursday the 20th of September following a short illness. A ham for more than 50 years, Sean had been heard frequently – not just on the bands but as a newsreader for the HF News Bulletins on Sunday mornings, until illness prevented him from continuing. He had a long history with the IRTS and contributed significantly to the work of the IRTS, helping prepare its monthly newsletter and taking on a leading role as a liaison with ComReg on pressing issues. Sean had been president of the society from 1977 to 1979 and a great coach and support to anyone wishing to sit for their licence exam. At the time of his death he was an honorary VP of the society. R.I.P. Sean Nolan EI7CD. BREAK HERE: Time for you to identify your station. We are the Amateur Radio Newsline, heard on bulletin stations around the world including the W7GAA repeater in Bullhead City, Arizona at 7:30 p.m. local time on Fridays. STEPHEN/ANCHOR: If you’re a satellite enthusiast and have a talent for editing news copy, AMSAT-North America wants to hear from you. Jack Parker W8ISH has the details. For Amateur Radio Newsline I’m Jack Parker W8ISH. STEPHEN/ANCHOR: A qualifying race for the Boston Marathon needs hams – not to run but to operate radios. Heather Embee KB3TZD has the details. For Amateur Radio Newsline I’m Heather Embee KB3TZD. STEPHEN/ANCHOR: Amateurs in the UK turned railway stations into ham shacks for one special tribute to steam-powered travel. Jeremy Boot G4NJH has that story. JEREMY: Now here are some call signs for stations that may not be considered your average amateur radio stations. GB4OST. GB0BR. GB5RSR. They’re actually train stations, not stations customarily used for radio. These three were among the dozens kept very busy during the weekend of the 22nd and 23rd of September. It was Railways on the Air weekend, coordinated by the Bishop Auckland Radio Amateur Club. The event was the latest in a recent series of train-based special event stations being operated by ham clubs around the UK. This time, the celebration was all about Britain’s first steam-powered passenger railway. Among the nearly 45 stations registered on the official website were Old Station Tinten activated as GB4OST, the Bluebell Railway activated as GB0BR and Ribble Steam Railway with the call sign GB5RSR. In the weeks leading up the event, hams had been encouraged to contact their nearest preserved railway to ask whether their own planned celebration of the anniversary would welcome the added participation of amateur radio. The answer was a resounding “YES” – nearly 45 stations had registered on the official website at the time the event got under way. STEPHEN/ANCHOR: A personal note from us here at Amateur Radio Newsline wishing a speedy recovery to our colleague on the other side of the Pond. We wish good health to Richard G4TUT of Southgate Amateur Radio News. In this week’s world of DX, Bill G0CXF is active from the Camotes Islands in the Philippines as DU7/G0CXF for the next six months. He is operating on SSB and PSK mainly on 80, 40, 20 and 6 meters and looking for contacts into Europe, the U.S., Canada and Australia. Check QRZ.com for QSL details. A team including Hans HB9BXE, Nicola I0SNY and Elvira IV3FSG is operating as H88X from Panama until the 9th of October. They will operate SSB, CW and digital modes on various bands. QSL via I0SNY (direct) or 9A5URI (bureau). Jun, JH4RHF is operating from Hanoi, Vietnam using the call sign XV9RH from the 10th to the 16th of October. Listen for him operating mainly CW on the HF bands. QSL via OE1ZKC. Be listening for Brian, AI6US calling QRZ as DU7/AI6US from the city of Dumaguete on Negros Island in the Philippines. He’s there now and will be on the air until the 21st of October. He will be QRV on 80-10 and 2 meters. QSL via LoTW, eQSL or direct to home call. STEPHEN/ANCHOR: Autumn has arrived in the Northern Hemisphere and once again, a relatively new annual ham radio tradition. Don Wilbanks AE5DW tells us more. DON: Now here’s a radio event that offers you two words as a bit of advice: GET OUT! No, you’re not being evicted from your shack but you ARE being encouraged to get outside and operate in the annual FALLOUT event being held by the 100 Watts and a Wire radio community. This year’s event is happening on October 12th through 14th and if you’re participating all you need to do is turn on your rig and call “CQ 100 Watts and a Wire FALLOUT” on any band. This is not about being fast on the push-to-talk button; this is about making contacts and even making friends. Hams are encouraged to exchange weather reports, opinions, news and of course their 100 Watts and Wire ID numbers. You don’t need an ID number to participate but they’re easy enough to get at 100wattsandawire dot com – and they’re free. So if you’re not busy on the weekend of October 12th through 14– and even if you are – GET OUT. By the way, you’re just as welcome if for any reason you end up having to stay in. All you need to do is get on the air, spot yourself on the 100 Watts and a Wire website. Why should the only pileup outside your shack be the autumn leaves? For Amateur Radio Newsline I’m Don Wilbanks AE5DW. NEWSCAST CLOSE: With thanks to Alan Labs; Amateur News Weekly; AMSAT-North America; the ARRL; Bishop Auckland Radio Amateur Club; CQ Magazine; David Wolfe KG1H; EURAO Newsletter; Hap Holly and the Rain Report; Iber Radio; Ohio-Penn DX Bulletin; Radio Society of Great Britain; Southgate Amateur Radio News; Ted Randall’s QSO Radio Show; Wireless Institute of Australia; WTWW Shortwave; and you our listeners, that’s all from the Amateur Radio Newsline. Please send emails to our address at newsline@arnewsline.org. More information is available at Amateur Radio Newsline’s only official website at www.arnewsline.org. For now, with Caryn Eve Murray, KD2GUT, at the news desk in New York, and our news team worldwide, I’m Stephen Kinford N8WB in Wadsworth Ohio saying 73 and as always we thank you for listening. Be the first to comment on "Amateur Radio Newsline Report 2135 for Friday, September 28 2018"